Multivitamins were the most common supplements, followed by vitamin C, omega-3 fatty acids, vitamin D and melatonin. 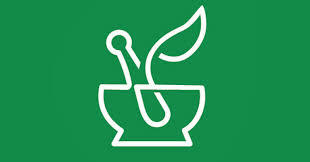 A third of children under 19 are regular users of dietary supplements or alternative medicines. Using data from a large national health survey, researchers found that multivitamins were the most common supplements, followed by vitamin C, omega-3 fatty acids, vitamin D and melatonin. Three percent of male teenagers took bodybuilding supplements, and so did 1.3 percent of teenage girls. Omega-3 fatty acids were used by 2.3 percent of children under 19. Melatonin and other sleep aids were used by 1.6 percent of adolescents and by 1.2 percent of children under 5. About 30 percent of children under 5 take multivitamins, and the percentage declines with age. About 16 percent of adolescents use them. The study, in JAMA Pediatrics, found that the rate of use of vitamin and mineral supplements stayed the same from 2004 to 2014, while the consumption of herbal cures and other nonvitamin products nearly doubled. By 2014, alternative medicines, including digestive aids, probiotics and energy stimulants, were used by 3.1 of all the children, and by almost 5 percent of teenagers.